Find out what produce is in season in your state at any time of year! The app gives recipes and background information on the produce. The Seasonal Food Guide is your one stop shop for seasonal information, boasting comprehensive data on more than 140+ types of fruits, veggies, legumes, nuts and herbs in all 50 states! This app helps you find food items that are environmentally friendly, minimally processed, and ethically produced, helping you choose the products that meet your standards and align with your values. Each product in the database undergoes rigorous research by the HowGood team and is given a rating on its impact across three benchmarks: Growing Guidelines, Processing Practices, and Company Conduct. Not sure what to do with all the leftover veggies in your fridge? No problem! Combining artificial intelligence with core gastronomical principles, this app is a virtual cooking assistant that offers custom recipes based on the left-over ingredients in your fridge. Plant Jammer not only encourages user to fight food waste, but also incentivizes users to reduce their carbon footprint by eating less meat and adopting a plant-based diet. This app helps compassionate volunteers make a difference for their neighbors by connecting fresh usable excess food free of charge with hunger relief organizations who serve America's food insecure population. Request a food pickup and instantly match your surplus food to a nearby shelter -- a driver will then be dispatched to pick up your food. At the same time you will be reducing your carbon footprint, maximizing your tax deduction and receive analytics all while feeding those in need. 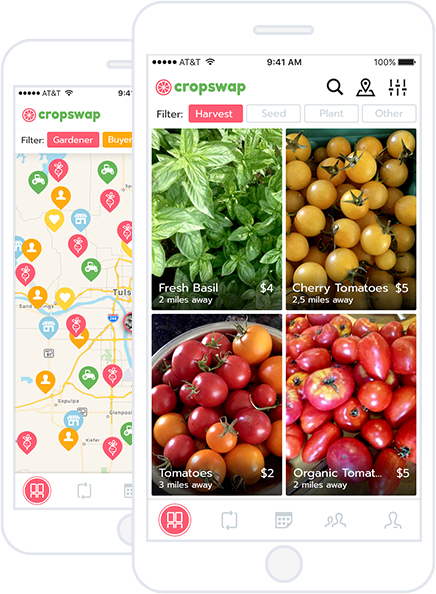 This app makes it easy for you to buy, sell, trade and donate homegrown produce with your community. Join the Food Sharing Revolution today and help put an end food waste! This global food sharing app connects you with neighbors, volunteers and local businesses so that surplus food, and other household items can be shared with each other, not thrown away. Everything on OLIO is free. Tap is an app that allows smartphone users across the world to find nearby free public drinking fountains and water refill stations, so you eliminate the use of single-use plastic water bottles including businesses and restaurants that have signed up as a part of the global Tap Authorized Refill Network. Just open the app and within seconds you’ll find the closest place to refill your water bottle. This app adjusts food prices for its hundreds of partnering restaurants in and around New York City. This helps restaurants increase orders by reaching previously priced-out customers and more efficiently move inventory, which prevents food waste. You can filter for restaurants based on location and cuisine preference. Note: Before placing an order, you can also see the exact discount you’d be receiving. As a customer, the maximum price you’d ever be paying is the original price itself, with discounts normally ranging from 10–40% depending on real-time traffic flow. If you order in advance, you’ll also receive an additional 2% off per day. This app helps you choose ocean-friendly seafood at your favorite restaurants and stores. It reaches worldwide to help consumers and businesses choose seafood that’s fished or farmed in ways that support a healthy ocean, including where the fish came from, how it was caught or farmed and how the local environment was affected. Monterey Bay researchers identify which seafood items are best choices (green), good alternatives (yellow) or to be avoided (red). This app provides specific recycling information for New Jersey municipalities for local recycling and waste disposal programs. Join the reduce-waste movement, save money, and reduce waste by connecting locally to swap free used toys and declutter your home and help reduce plastic waste. This app is a collective toy library that allows families to "borrow" toys without having to purchase them and "return" them whenever, or if ever, they choose. A parent who wants to get rid of an unwanted toy takes a picture of it and posts it on the site. Any other parent participating in the program — within the same geographic area — can then reply to the post and arrange a time and place to pick the toy up. There is no exchange of money or shipping. Alternatively, parents can also post items they want for their children. 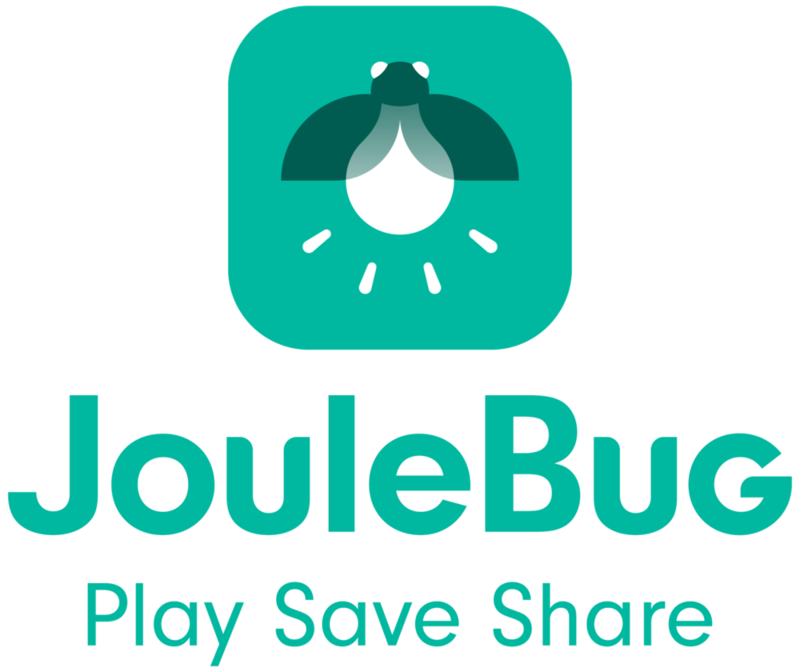 With this app, you can learn take small steps in your daily life to reduce your plastic use! Learn more here! Start by joining pledges to reduce your own plastic footprint, committing to refuse straws with your drinks, bringing a reusable bottle, refusing plastic bottles in restaurants, and taking a reusable bag when doing groceries; these are just a few of many pledges you can take to help reduce your plastic footprint. Did you know that by replacing your vinyl shower curtain with a nylon one or using fragrance-free cleaning products you can make the air in your home healthier? This app harnesses this vital knowledge to help people eliminate sources of toxic chemicals from their environment with information on how we are exposed to them and what health effects they might have. Created by passionate scientists at Silent Spring Institute, Detox Me provides convenient research-based tips to reduce your contact with common consumer product chemicals that are linked to health problems including cancer, asthma, thyroid and developmental disruption. ● Discover and reduce labeled and hidden toxics in your home. ● Scan barcodes of products while you shop to find relevant tips. ● DIY recipes to replace commercial products with simple non-toxic ingredients. ● Track your progress and share your favorite tips with friends and family! There's nothing more wasteful than the reams of paper junk mail that slides through our letterbox, then ends up unread in the recycling bin. Take back control and stop unwanted paper mail from being delivered to your home or work. All you have to do is take a picture of your unwanted mail, press Send, and you get unsubscribed from the particular business. Check if a company is cruelty-free! Bunny Free uses data from the cruelty-free shopping guide published by People for the Ethical Treatment of Animals (PETA). This app lets you browse all companies in the database, find cruelty free brands by product type, and share company testing results including whether or not they test on animals. This conscious consumerism app allow users to scan any barcode — on a cereal box, a bottle of toothpaste, or an apple — and find out information about the company that produces it. Does the company treat its workers properly? Does it use animal testing? Does it support human rights causes? With Buycott, you can find out before you buy. Support causes by joining campaigns created by some of the world's best non-profit organizations from companies opposing GMO labeling, using child labor in chocolate, Monsanto, and countless other issues that consumers need to be aware of. This app gives you practical everyday tips and ideas on how to reduce your carbon footprint (and usually save money in the process) - from remembering to take your reusable cup to the coffee shop, to carpooling and buying secondhand clothing. The whole thing is set up like a game, and every "green" decision you make sees you win points. There's a big social aspect too, with users encouraged to pit themselves against friends and family, share experiences with them and stay motivated to keep up sustainable habits. This app gives helps you find a place to plug in your electric car (EV) with PlugShare's database of over 90,000 charging stations in both the US and Europe! Check out the Pay for PlugShare feature and monitor the status of your charging session. This app enables individuals, governments, neighborhood organizations, and other groups to collaborate in mapping and exploring the urban forest. Sign up and learn how you can start using it here!